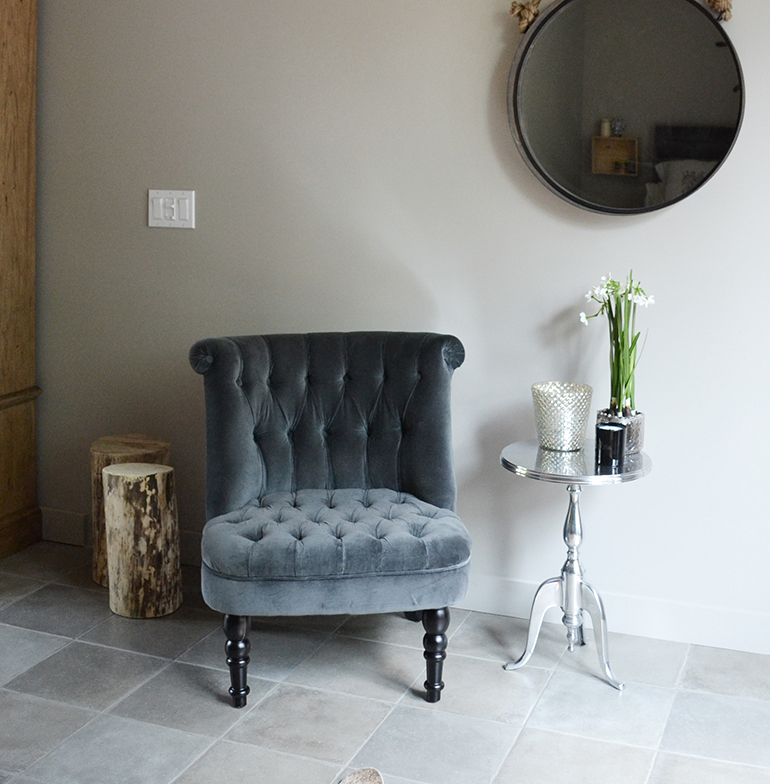 A beautiful country-chic retreat far away from just about everything. 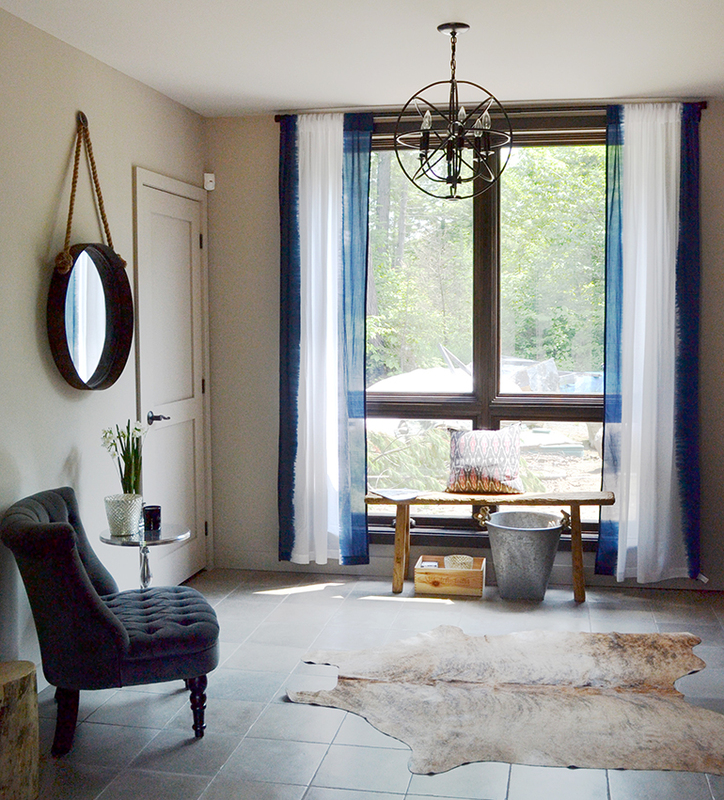 An open concept space with a mix of elegant, rustic and nautical elements. 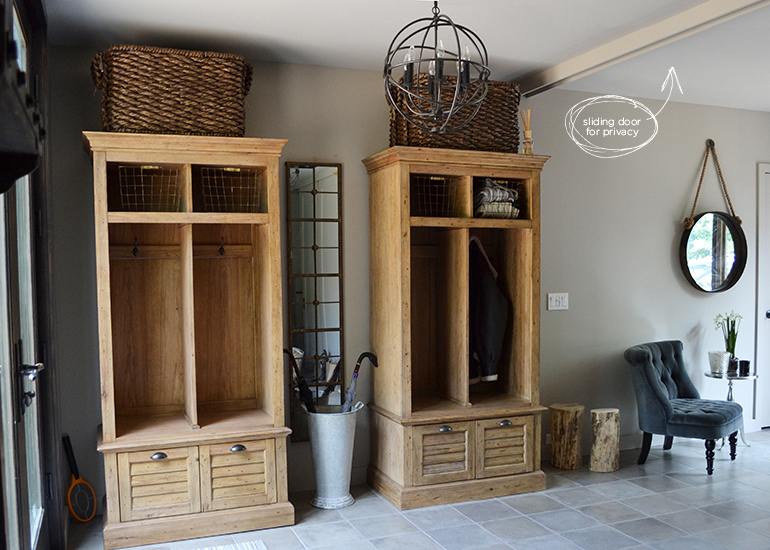 Twin cubbies by the entrance create a mud room type space and provide storage for jackets, hats, scarves and gloves. A custom barn wood bed dressed up with the Hudson Bay Company’s classic insignia bedding in natural linen. 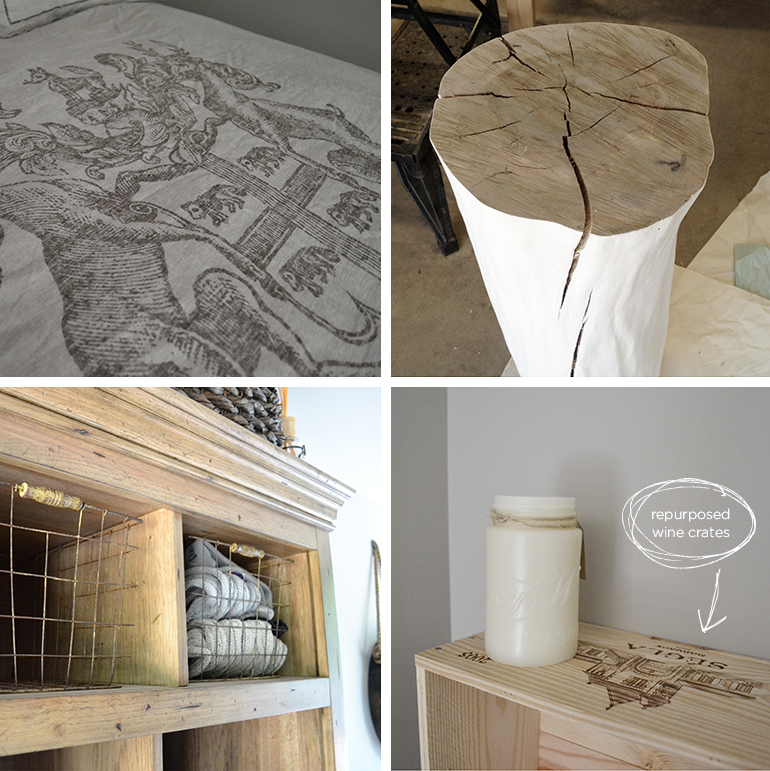 DIY painted tree stumps are used as side tables. 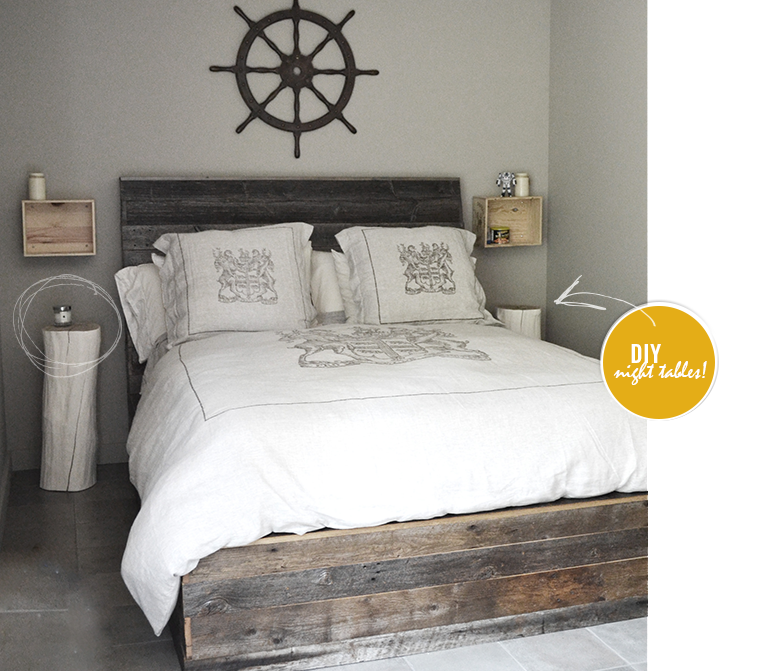 Discarded wood wine crates are given a second life, re-purposed as wall mounted bed-side shelves. Perfect for a candle or glass of water!